One of the main concerns I have over Jeff Reed’s BILD International and the Antioch School is that it is a galvanizing force for the three branches of Christianity that I believe have gone astray. 1. The Purpose Driven movement. 3. The New Apostolic Reformation movement. A. The Purpose Driven movement has entered in via Gary Thomas and his Sacred Pathways. B. The Emergent/postmoderns have entered in via Brian McLaren and his Ancient Practices (just as one example). C. The New Apostolic Reformation has become involved in the Catholic mystics through Mike Bickle and IHOP. He has been promoting Teresa of Avila in particular. My concern is that the attempt to bring Catholic mysticism into the church has led the church away from grace and into religious works. It’s as though the Reformation led by Martin Luther never happened, and we are embracing the teachings of those who countered the Reformation — Ignatius of Loyola and Teresa of Avila — instead. We are forgetting faith alone, grace alone, scripture alone, and Christ alone. B. The emergents/postmodern movement has their emphasis on social justice. C. The New Apostolic Reformation movement has their Seven Mountain Mandate. This attempt to order the world through human effort is a futile work to restore paradise without Christ in the human heart. Is the Gospel message that we can change the planet, or any nation, through ordering the “kosmos,” thereby bringing about “shalom,” which is the ultimate place of peace and prosperity? This is another works message! Instead of entering into Jesus’ rest, these three offshoots of the church are teaching that the body of Christ should get busy and try to set up a new garden of Eden, but only Jesus will be able to restore the earthly paradise, and only when he returns and sets up his kingdom. And I might add, he can only do it because the citizens of this kingdom have renewed hearts. Yet, for some reason, these movements believe they can attain “divine union” with God through their ascetic practices, rather than entering boldly through the blood of Jesus, and they believe they can bring about paradise through their work. Both of these efforts have abandoned the way of GRACE. This is why I oppose Reed’s attempt to galvanize the three groups through the use of dialogue and the Socratic method. I attended Jeff Reed’s Antioch School class entitled, Understanding the Essentials of Sound Doctrine. The title would make you think Reed was concerned about doctrine, yet his willingness to blend the gospel with any teaching or philosophy, through the use of the Socratic method, (I might call it the Hegelian “dialectic”) seems to indicate he actually has no understanding or actual commitment to sound doctrine. Reed hopes to have 2 million churches “emerge” internationally with BILD-trained leaders by the year 2020. He also hopes to have 20,000 churches “emerge” in the United States with BILD-trained leaders by 2020. In his promotions of the BILD material he says he is hoping to “unleash a torrent”. I’ve read a few of your posts on Antioch. Have you worked through more than one class with them? I’ve used their First Principles and Acts course and got certified as well. Antioch is not confessional so they are not distinctively reformed in their soteriology. It’s the kerygma that matters and so that leaves churches with lots of room for establishing their own distinctive theology within their own context. A Baptist church using the First Principles and having a discussion about Baptism will not conclude the same thing as a Reformed Presbyterian church using the same First Principles and having the same discussion. This is similar to C.S. Lewis’ Mere Christianity. That certainly means that the curriculum is open to being used and abused and appropriated in many ways. It also means though, that each church is responsible to create their own systematic theology in a sense from the ground up which develops a deep since of biblical thinking and ownership rather than simply signing propositional statements and thinking that alone keeps people in the faith. I do think that when it is lead biblically it is supposed to lead to firm biblical convictions in propositional form but they want to journey there together rather than begin there. It’s a teaching methodology issue. Another post mentioned some of the writers referenced but even here there is a methodological issue. Antioch seems to believe in a kind of “take the meat, leave the bones” philosophy so that if they quote, allude to, or reference a particular author in a particular article, it does not mean they are endorsing everything the author has written. They expect critical thinking, though the charge that the sources used are concerning by implication still stands. They certainly need to make those qualifications explicit and not assumed. Thanks for the good thinking and critical analysis! I just re-read your comment and I apologize for not getting back to you sooner. The only class I took was the “Essentials of Sound Doctrine” class. I apologize for this long response. I understand the attempt by Reed to get people to understand and take ownership of their doctrinal statement, but I think Reed’s goal is to try to blend elements of the “didache” into doctrinal statements which are mostly kerygmatic in nature. I don’t think this was just a “teaching/methodology” issue. His goal is to encourage churches to reconsider their doctrinal statements, and encourage leaders to give the didache teachings a greater role. Reed’s main emphasis seems to be that of trying to get Christians to adhere to the didache, but I think there may be dangers in this approach. First of all, the original “Didache,” which Reed speaks of many times in his materials, isn’t part of the canon. It was a handbook which emphasized moral purity, Christian duty, liturgical instructions, and discipline in the church. It was loosely based on the Bible, but had instructions which often differed from scripture. I think Reed emphasizes this little document too much. For example, in Reed’s “First Principle” series, he uses Hebrews 5:11-14 to exhort us to build our faith on the “first principles” (or “elementary principles”). “For though by this time you ought to be teachers, you have need again for someone to teach you the elementary principles of the oracles of God, and you have come to need milk and not solid food.” (Hebrews 5:11-12). To attempt to build a foundation for sound doctrine on a non-canonical document that is NOT doctrinally sound should give us reason to question Reed’s teaching abilities and motives. I also think Reed makes a mistake by emphasizing Perotta and his didache approach. Thank you for your input. It caused me to put into words thoughts that had been nagging at me for months. Thank you for your kind words also. I know this was from a few years ago, but your comment below is recent showing this is still a topic so I figure I’ll respond quickly. The idea that the didache Reed is talking about is the same as the didache document, a non-canonical document created after the time of the first century, is an example of equivocation fallacy. The same term does not mean the same thing denoted. In your recent post from Aug. 2016 about the First Principles you seem to get that noting that “didache” is the Greek word for teaching. That’s what Reed is talking about. An ordered learning set down by the Apostles, sometimes called the traditions of the Apostles in Scripture, that lays down how a Christian is to live their life after accepting the kerygma (Gospel). CH Dodd did some pioneering work here and yes Reed does pull from him in listing 7 major propositions he develops. Dodd’s work encompasses the whole of the NT not just one passage in Hebrews or elsewhere. The thing about Bild material is that it cannot be read in isolation, the First principles as a series are understood in their totality not just one book or one section. The same is true of the Bild college courses. There is an order and the order matters. Acts is supposed to be first. In the Bild college course, Pauline Letters I believe, students explore and dig into sections where the didache is presented trying to isolate this body of teaching the Apostles considered most relevant to their new disciples. All the NT is relevant, but Bild is heavily focused on “ordered learning.” A, B, C, D, E, F, G, etc. Order matters to them and esp. how the Apostles planted, then grew and matured churches. They want to follow their model. 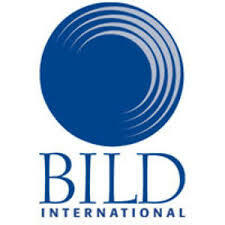 As I read all your blogs on the matter and the comments by others it seems to me that few have been “quick to listen, slow to speak…” There is a great deal of misunderstanding about the Bild curriculum, it’s aim, purpose, etc. They don’t promote mysticism, etc. but as I said, their “mere Christianity” approach gives a wide birth for Christians in all kinds of traditions to use the material. Catholics love CS Lewis too btw! And his book drove massive people into the arms of the Catholic Church (not Lewis’ intent as far as we can see). Do I agree with Dodd? His basic categories etc. are helpful, but I do think Ridderbos (Redemptive History and the New Testament) has a more integrated view. This series of booklets is designed to lead you through the first principles so that you can build upon them and grow on toward maturity. In every generation of churches since the time of the New Testament, believers were expected to learn these first principles. In the early church, before new believers were accepted into the church, they needed to learn the didache (“the teaching”). “The Didache” was a summary of the basic teaching of the New Testament–the first principles. During the Reformation (1500’s), this teaching was called catechism, again designed to help Christians master the first principles. I mischaracterized Reed and I apologize for this. I am currently going through Jeff Reeds “Becoming a Disciple: First Principles of the Faith.” Jeff Reed’s materials are not just “reedy,” they are indeed poisonous! There is no apology here. His teachings are from the pit of hell and can easily lead people astray. He equates the “First principles (elementary) principles of Christ” with “the Teachings,” and the “Didache.” He then surreptitiously introduces his “First Principle Series” as being ” a modern 21st century didache.” p32. In intellectual dishonesty, he deliberately ignores Heb 6:1,3 [Therefore, leaving the discussion of the elementary principles of Christ, let us go on to perfection, not laying again the foundation of repentance from dead works and of faith toward God, 2 of the doctrine of baptisms, of laying on of hands, of resurrection of the dead, and of eternal judgment. 3 And this we will do if God permits.] which clearly lists out the First Principles of Christ but goes on to list seven (7) random thoughts contrived by C.H. Dodd. The “therefore” in verse 1 of Hebrews chapter 6 quoted above, links up with verse 12-14 of Hebrews chapter 5. “12 For though by this time you ought to be teachers, you need someone to teach you again the first principles of the oracles of God; and you have come to need milk and not solid food. 13 For everyone who partakes only of milk is unskilled in the word of righteousness, for he is a babe. 14 But solid food belongs to those who are of full age, that is, those who by reason of use have their senses exercised to discern both good and evil.” Jeff Reed actually mentioned Heb 5:11-14. He did not quote the passage but characteristically gave it a skewed explanation. Then he ignored the follow-up verses that would have exposed his lies. It is amazing that people could so brazenly attempt to change the truth so clearly stated in the bible. Be warned!!! Amen, Samuel Ucheaga! I just discovered your comment! I thank you for mentioning C.H. Dodd. In the first book of the “First Principles” series (“Becoming a Disciple”) Reed uses Dodd’s condensed version of the Kerygma as a simple way to highlight the characteristics of the Gospel. Then Reed uses Dodd’s “didache” to highlight seven ways to live the Christian life. This is an example of why Reed is so confusing. While he doesn’t use any of Dodd’s “realized eschatology” teachings directly in the material, his use of C.H. Dodd (and his characterization of him as one of the greatest theologians of the 20th century) is very troubling–since C.H. Dodd believed in a type of “kingdom now,” “already/not yet” eschatology. This eschatological belief places an emphasis on the role of the church in ushering in the fulfillment of Christ’s kingdom. Instead of waiting on the Lord to set all things right, the mission of the church is now that of transforming society. Does this mean that Reed subscribes to Dodd’s eschatology? I don’t know. I only know that Jeff Reed is ecstatic at the thought that his material is being used to unify different “streams” of Christianity to develop a “force for good.” Is the force for good part of the C.H. Dodd teaching that the mission of the church includes transforming society? If you have read any articles on my website, you will see that I honor those men and women of God who have contributed to the well-being of society. I call them the “heroes of history.” But I think we also have to discern the difference between being a “co-creator” with God in the role of renewing society, and being prophetic witnesses to a lost world. I wrote a column about this exact concern a few years ago. There are warning signals that go off for me when I see that Reed refers to C.H. Dodd, that his materials are used whole-heartedly by people like Bishop Materra, and that he wants to be a “force for good” in society. Thank you, Samuel! Discovering your comment was very timely for me in many ways. Dodd’s “already but not yet” eschatology is accepted wide scale by nearly every denomination and Christian college, seminary, etc. in some form. The idea that the church can, through the Gospel, have an impact on society should not be surprising. Christians are about both the Gospel and good-works, not one or the other. Good-works flow out of the Gospel which is why the kerygma must come first. C.H. Spurgeon, called the church the hope of the world, that was the title of one of his sermons. Christ uses the church to reach the world, and when people are reached with the Gospel they are transformed. But even when they are not reached with the Gospel the presence of Christians in politics, or public schools, etc. ought to have an impact beyond themselves as they seek to excel at their profession for the glory of Christ. This is similar to missional thinking and a sense of wanting to bless other nations and other people with the love of Christ. Of not wanting to keep the Gospel as an individual person “in our heart,” but to live it out fully in every aspect of life. The Gospel is not a private affair while the rest of us lives in a public world. That’s Schaeffer two story dichotomy of the modern world. That is not at all the mission of the church from Reed’s perspective. The mission is to make disciples via church planting according to the way of Christ and the apostles. But like throwing a rock in a pond, it’s supposed to have an effect beyond it’s initial impact. I can’t speak to Bishop Joseph but again, just because people like Bild materials does not mean that the Bild material is suspect. That’s a fallacy, death by association. Hi Corey, I acknowledge that “already but not yet” eschatology is sound and balanced, but Dodd’s eschatology is different in that he allegorizes it. I don’t know how far Reed goes into eschatology, or if he holds the same views as Dodd. If you look at my website or read my books you will see that I believe that throughout history the Word of God has been the only faithful and true rock to stand on. It has produced immeasurable beauty and goodness. Those who were faithful to its Words were the heroes of history. The main reason Christianity failed in history (as in the Inquisition, slavery, racism, and Nazism) was because Christians corrupted the truth with other teachings, philosophies, science, or other beliefs. My concern with Reed’s writings is that he adds so many questionable views to his materials…such as those of Charles Kraft, Harvey Cox, Hans Kung, Edward Debono, Paulo Freire, and on and on…why do we need their input? Again, the problem with your comment is that Reed seems ecstatic that his materials are being used to form an ecumenical “force.” (Unleashing a Torrent) This isn’t surprising to me because I could foresee through his materials that this was the direction he was going. I truly hope you will check out my book, “Will You Be Found Faithful?,” since it would help to explain where I am coming from and why I’m so concerned about Jeff Reed. I’m very appreciative of your comments. It helps to keep me accountable. I desire truth and to be faithful to Jesus.